Description: Civilian Public Service unit no. 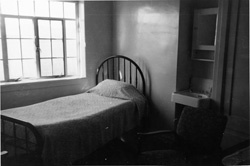 127, Utah Training School; "Dormitory bedroom"
Description: Civilian Public Service unit no. 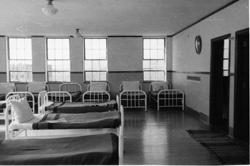 127, Utah Training School; "A room in the employees' building -- such as we group members have"
Description: Civilian Public Service unit no. 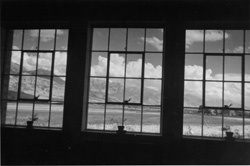 127, Utah Training School; "Through the windows of the asst. 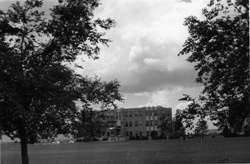 superintendent's office, showing the mountain range to the east"
Description: Civilian Public Service unit no. 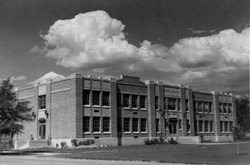 127, Utah Training School; "The school and administration building"
Description: Civilian Public Service unit no. 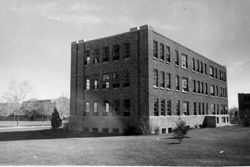 127, Utah Training School; "A dormitory"
Description: Civilian Public Service unit no. 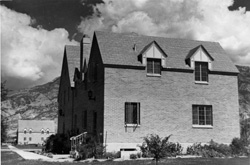 127, Utah Training School; "Parole cottage for highest type boys. Two boys to each room. Married couple not CPS act as 'parents.'" Description: Civilian Public Service unit no. 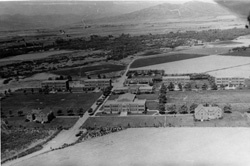 127, Utah Training School; "Aerial view of the School. Since this picture 2 more dormitories have been built"